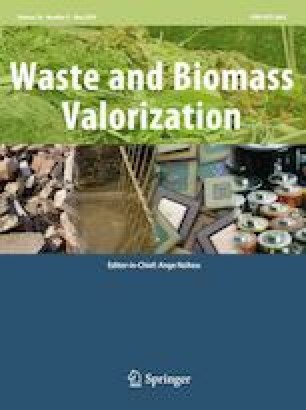 An equilibrium model has been developed to predict the composition of a gaseous mixture obtained from the gasification process of the Curitiba City Municipal Solid Waste (MSW). The ultimate analysis of this MSW was also obtained in this study (C = 53.60%, H = 6.74%, N = 1.85%, S = 0.21%, O = 31.03%, Ash = 6.57%), what is necessary when there is lack of experimental information on the elemental composition of the feedstock. Simulations for different gasification scenarios were carried out regarding autothermic and supercritical operations. The developed model was validated with experimental data from literature and was used for optimizing the gasification of MSW according to the amount of air injected in the system, feedstock moisture, temperature and pressure in the gasifier. It was observed that an increase in the pressure of an adiabatic process can increase the lower heat value (LHV) of the gas if the moisture is also increased until an optimum condition. Isothermal processes simulated with supercritical water at high temperatures (higher than that reached in the adiabatic scenarios) resulted in higher LHVs of the gas product. The authors are grateful to CNPq (Procs. Num. 406737/2013-4 and 309033/2016-0), CAPES and Fundação Araucária-Paraná (Brazilian Agencies) for the financial support and scholarship.